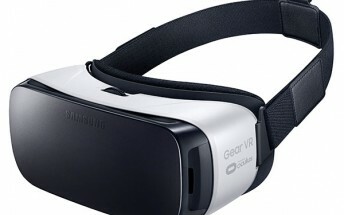 The Marshmallow beta for the Samsung Galaxy S6/S6 edge is not compatible with the company's Gear VR headset. 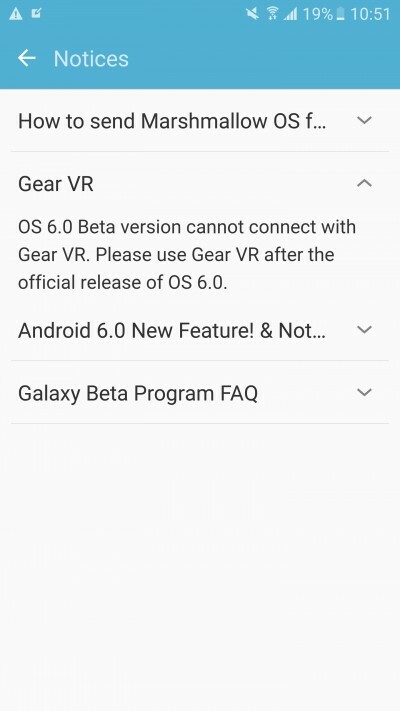 The Galaxy Beta Program app clearly mentions this, but claims that the headset will work fine with the official Android 6.0 update. This came into light shortly after the firmware started rolling out in the UK, so this is bad news for Gear VR owners who have already installed the update on their compatible smartphone. The update was first launched by the company in its home country of South Korea. For those who aren't already aware, the Galaxy S6 Marshmallow beta program is aimed at improving the quality of the upcoming firmware updates, based on the user feedback from those participating in the program.